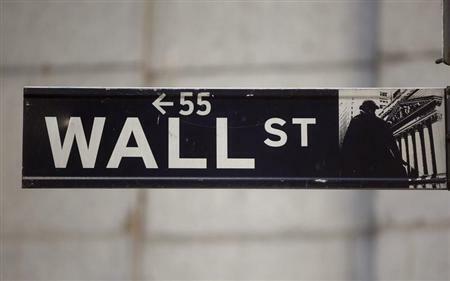 (Reuters) - The outcomes of nearly 40 securities arbitration cases dating back more than 15 years and involving some of Wall Street's most well-known brokerages could be compromised because one of the arbitrators who heard them allegedly lied about being a lawyer. The Financial Industry Regulatory Authority on Monday confirmed that it removed the arbitrator, James H. Frank, of Santa Barbara, California, from its roster of arbitrators last year. Frank said he was a lawyer and a member of the bar in several states, when in fact, he was not, a FINRA spokeswoman said. The dismissed arbitrator said via email that he was unaware of FINRA's reasons for removing him, other than that it received a complaint about him from a lawyer involved in a case he had arbitrated. The allegations that he lied about being an attorney and bar member are "inaccurate at best," he wrote. Frank claims that he was a "lawyer" - putting the word in quotes - and that the California bar must have lost his records. The case comes to light as advocates for consumers and investors are calling for an end to mandatory arbitration. FINRA, Wall Street's industry-funded watchdog, runs the arbitration forum where brokerages and investors must resolve their disputes. FINRA has been taking steps to improve perceptions of fairness to investors in its arbitration system. It also recently beefed up measures to police its arbitrators. Nonetheless, the latest revelation is likely to be more ammunition for mandatory arbitration critics. It is unclear whether FINRA is required to disclose the alleged misrepresentation to parties involved in the dozens of cases that Frank heard, or whether it has made those disclosures. FINRA declined to comment on that issue. The revelation also raises questions about whether the parties could attempt to overturn some of those decisions in court, lawyers said. An arbitrator who misrepresents himself as being a lawyer is an "obvious serious concern," said Terry Weiss, a lawyer with Greenberg Traurig, LLP in Atlanta, who typically represents brokerages. "That sort of misconduct could be a basis to vacate the final arbitration award if it was brought in a timely manner." But timeliness could be a problem. Parties who want to try to overturn arbitration awards in federal court must typically make the request within 90 days of receiving the arbitration order. It is unclear whether an arbitrator's fraudulent misrepresentations could give petitioners' leeway to take action under federal or state laws. The San Francisco Daily Journal reported Frank's dismissal on Friday. Reuters has since learned that Frank served on securities arbitration panels in 38 cases between 1998 and 2011, according to a disclosure report he filed with FINRA. He was also involved in seven cases at the time of his dismissal. Many of them involved well-known brokerages, including Citigroup Global Markets Inc., a unit of Citigroup, Wells Fargo Advisors, LLC, a unit of Wells Fargo Corp., and Bank of America's Merrill Lynch, according to the report. FINRA reported Frank's alleged misrepresentations to the Los Angeles County District Attorney last year, a spokeswoman said. It is the second serious allegation involving an arbitrator's background to surface in less than a year. FINRA beefed up measures last year to check out arbitrators' backgrounds after it came to light that an arbitrator who heard a case involving Goldman Sachs had been indicted. Frank's situation first came to light in August, 2013, during a hearing in a case against a brokerage involving a variable life insurance policy sold to a 72-year-old woman, according to Benjamin Blakeman, her Los Angeles-based lawyer. Blakeman looked into Frank's background after the hearing. A private investigator he hired concluded that only one person named James Frank was licensed to practice law in California, but he was not the same person as the FINRA arbitrator, according to the investigator's report. FINRA ultimately removed Frank from its roster and appointed another arbitrator to make a decision by reviewing tapes of the proceedings, Blakeman said. The investor lost the case. Frank admitted to Reuters that he was never licensed in New York or Florida, although he indicated to FINRA that he was. Asked why he lied about the Florida license, Frank said: "It's a damn good question and one that I'm having trouble with." He also did not graduate from Los Angeles-based Southwestern Law School, as his FINRA report shows, but instead, "took a bar refresher course there," he said. There was, however, another James H. Frank who did graduate from Southwestern Law School in 1975. "There is no question he is using my credentials. This is not accidental," said James Hamilton Frank of Santa Monica, who graduated from Southwestern Law School in 1975 and has never worked as an arbitrator. He is licensed to practice law, but is now inactive, according to a California bar database. Frank learned of the situation from Blakeman, the lawyer. He has not filed criminal charges against his alleged impersonator, but told the state bar association and the California attorney general's office about the matter, he said. Frank, the former arbitrator, said he was "taken back" by the allegation that he had appropriated the other Frank's background as his own.